EAST LIVERPOOL – Betty Jean Tice and Vincent James Watson were united in marriage on Friday, June 19, 2015, in East Liverpool. 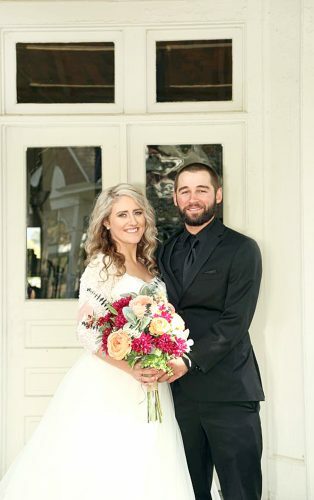 The exchanging of vows was officiated by Stephanie M. Cope, Minister. The bride is the daughter of Regina and R. J. Moore Jr. of East Palestine, and the late Robert G. Tice Jr. (of East Liverpool). 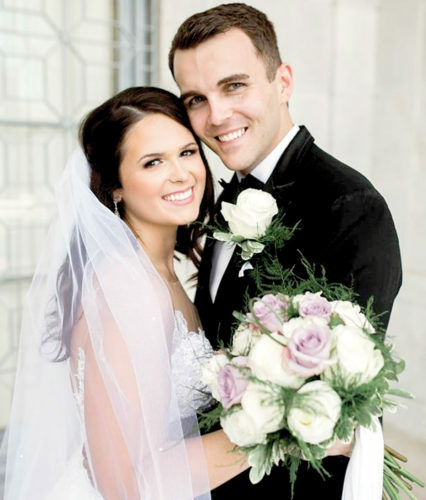 The groom is the son of Marsha Watson of East Liverpool, and of Jeff and Kris Watson, also of East Liverpool. 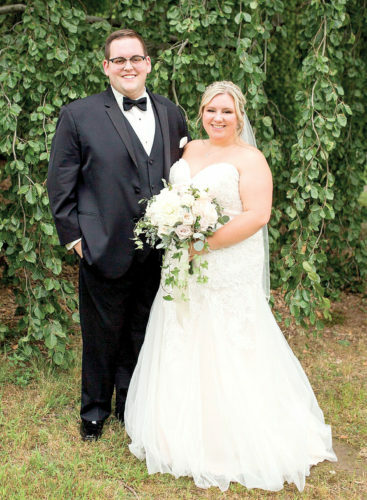 The groom’s attire consisted of a black-tailored, slim-cut, two-button notch lapel, two-piece suit worn with a white shirt and a solid red tie. A look popularly-known as the “hit man” suit. Keeping with tradition, a single red rose boutonniere was worn. Rebecca (Tice) Anderson of Peoria, Ariz. served as her sister’s Matron of Honor. Bridesmaids were Amber (Evans) Quarterman and Jamie Six, both of East Liverpool. Serving as a Junior Attendant was the bride’s niece, Siera Anderson of Peoria. The Flower Girl was Lillian Moore, of Darlington, Pa., niece of the bride. And the bride’s sister, Amy Tice of East Palestine, greeted guests. Phil Mays of East Liverpool served as the Best Man. Serving as Groomsmen were Brad Stewart of Irondale, and Kevin Alford of East Liverpool. 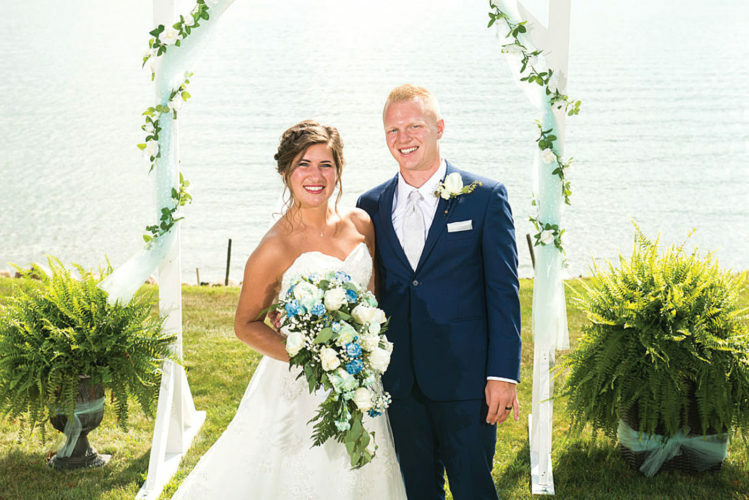 The groom’s Junior Attendant was the bride’s nephew, Devin Anderson of Peoria. Ushers were brother of the bride, Robert G. Tice, III of East Palestine, and brother-in-law of the bride, Kevin Anderson of Peoria. An evening wedding reception was held at the Mountaineer Casino, Racetrack and Resort in Chester. 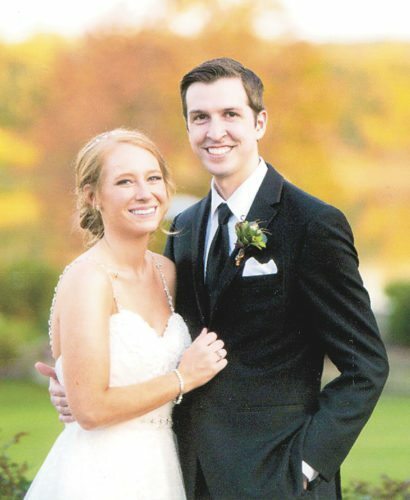 The newlyweds spent their first night as husband and wife in the Honeymoon suite at Mountaineer. The couple will delay their honeymoon until next year at which time they plan to vacation on the South Pacific island of Bora Bora. 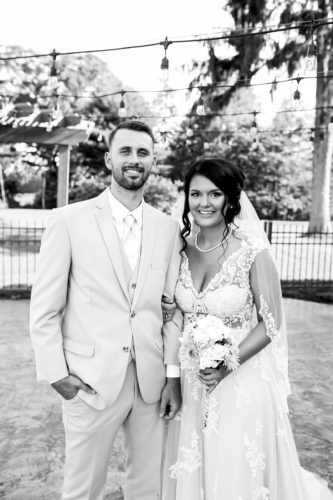 The bride and groom are both employed by the Mountaineer Casino, Racetrack and Resort and reside in East Liverpool.